We transform peoples' lives and build strong communities by empowering young people, developing courageous leaders and creating strong alliances with key strategic partners. We focus our work in the Lewis family's hometowns of Boston, MA and Kensington, NH and within the global villages where their company, Grand Circle Corporation travels. We believe when people follow their dreams and passions it enriches the world. We believe it fosters courageous leaders who can transform our communities and planet. From increasing the college graduation rate in Boston's toughest neighborhoods, to building a school in Tanzania, to establishing a leadership center and community farm model in rural New Hampshire, our work helps people build strong communities. CollegeWorks is a $10M collaborative initiative to double the number of four-year college graduates from Boston’s Dorchester, Roxbury, and Mattapan neighborhoods that provides inspiration, resources, and leadership to build resiliency, confidence, and grit in young people. The Lewis Family Foundation, in collaboration with Pinnacle LTD, looks to deepen the work of nonprofit leaders who are committed to impacting the lives of young people in Dorchester, Roxbury, and Mattapan. Bigger Than My Block represents our platform for reaching young people and giving them real facts, real voice, and real access to resources to help them get to and through college. Grand Circle Foundation helps to change peoples’ lives in the world we travel and where we live and work. Nestled in the rural community of Kensington, NH, Alnoba resides in harmony among the area farms, wetlands, woodland and pastures. Our unique campus creates a sacred space for leadership development, conservation education, sustainable agriculture, health and well-being, and community building. The Pinnacle Leadership Center is the premier site for strengthening nonprofits through leadership coaching and team building as well as providing young people a challenging environment to develop into courageous leaders. We are committed to conserving our earth and all its beauty, not only for ourselves, but also for generations to come. A model for year round food production, education, and economic and environmental sustainability. The Farm is an essential part of our efforts to create a model for strong, sustainable communities. That is where real change starts and it’s why we are so passionate about supporting, developing and partnering with strong leaders. Gutsy youths, men and women who can inspire others and possess the moral courage to make tough decisions and create change. Change that improves people’s lives, builds strong communities and preserves cultures. The truth is there is a leader in each of us. We are all bigger and more powerful than we realize, and sometimes we are afraid of that. We need to move toward that fear and then push through it. The complexity of the problems facing our communities and planet today demand it. It takes guts; it takes courageous leaders! 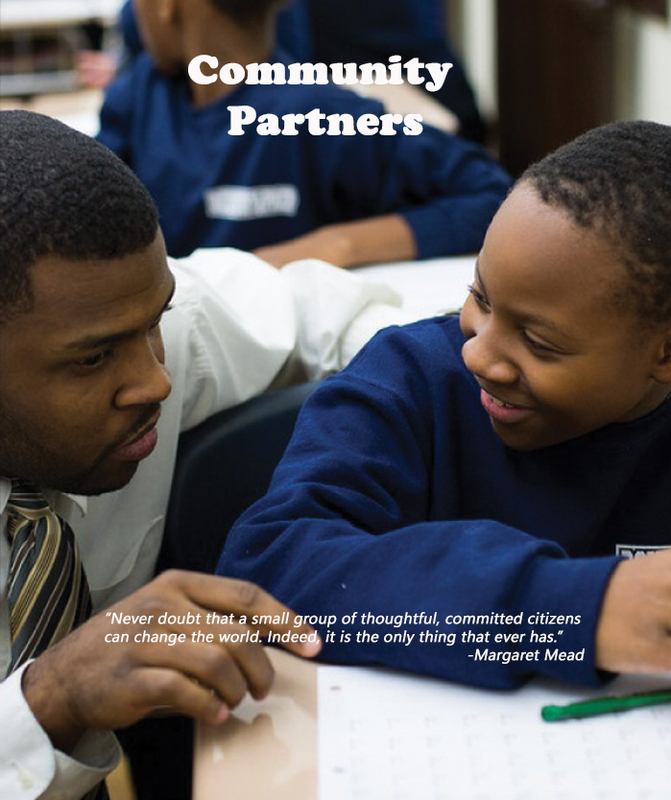 This Website celebrates the work we are doing with our community partners and young leaders. We hope it inspires you to take action. These are our partners in creating positive change. They are our fearless allies with the guts to tell us the truth, to say it how they see it. They are our coaches who make us better players and our sage guides who share their hard-earned wisdom, mistakes made and lessons learned. Individually our community partners are smart, passionate, tough, caring and inspiring people. Unified they are a powerful force for change. Together we are working to build strong communities where all people can thrive. To learn more about our work over the years, please see our Annual Reports. The power of community impact was in full force at the Community Celebration for The BASE’s new world headquarters at Clifford Park on October 18th. In partnership with the Lewis Family Foundation, The BASE hosted nearly 400 community residents, local business leaders, educators and student-athletes under a massive heated tent for a festive evening of BBQ, dancing, games and raffle prizes. This summer, the Kensington Investment Company (KIC) joined the Lewis Family Foundation and Grand Circle Foundation in celebrating the 10 year anniversary of the Next Generation Leaders program. On the evening of April 1,The Lewis Family Foundation gathered at the Edward Kennedy Institute to honor two of Boston’s courageous community leaders. It was also a celebration of the amazing work the Foundation’s partners have done this year and the hundreds of dedicated leaders and teams who have come together to help develop strong leaders and build strong communities. In fact that was the theme of the night: We Believe in Strong Leaders – Strong Communities. In November of 2015 the Lewis Family Conservation Foundation donated $150,000 to support the preservation of Bodwell Farm in Kensington, NH. The following article is courtesy of the Southeast Land Trust. Preserving Pastures in Kensington By Tracey Miller.